Prominent & Leading Manufacturer from Chennai, we offer ledifos medicines, resof l tablets, hepcvir l tablets and ledifos tablet. 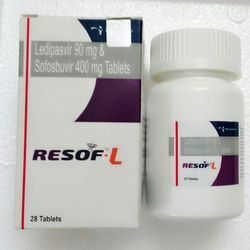 Sofosbuvir and Ledipasvir is a combination and is used to treat chronic (long-lasting) hepatitis C, a viral infection of the liver.Sofosbuvir & Ledipasvir tablets, may sometimes be used with another antiviral medication (ribavirin). These drugs work by reducing the amount of hepatitis C virus in your body, which helps your immune system fight the infection and may help your liver recover. Chronic hepatitis C infection can cause serious liver problems such as scarring (cirrhosis), or liver cancer. 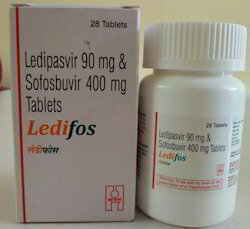 sofosbuvir ledipasvir , ledipasvir and sofosbuvir , ledipasvir and sofosbuvir cost, ledipasvir & sofosbuvir tablets, sofosbuvir ledipasvir price. 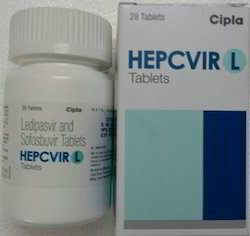 Looking for Sofosbuvir & Ledipasvir Tablets ?